At Renwil, we have been selling exclusive art, mirrors, lighting, accent furniture, rug art and accessories since 1967. We pride ourselves on how long we’ve been in business and opt for manufacturers who match our commitment to develop quality products. We look for uniqueness and innovation to create lasting impacts on our customers. 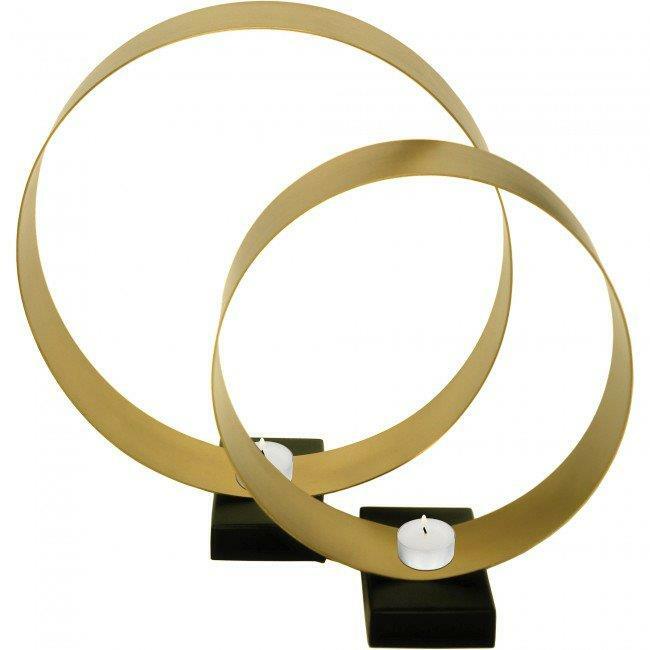 This set of two modern candleholders capture a halo of candlelight within their hollow hoop design. The circular silhouette of the small and large candleholder are elegantly crafted into a continuous loop of gold iron and grounded by a black pedestal. Each tealight holder encircles the dancing flame with a ring of metallic that mimics the curvature of each candle.